Running in Iceland. The best routes and places to run in Iceland. 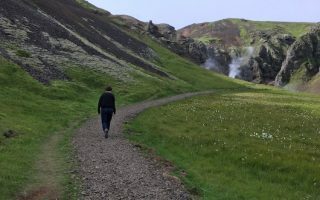 Answering the question ‘where to run in Iceland’ presents a challenge, since the country’s spectacular geography makes nearly any run a treat (especially if the weather is favorable). So we’ve tried to come up with some highlights for running in Iceland. 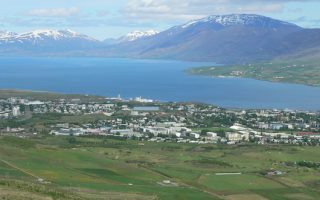 Our approach: a separate post with 7 great runs in Reykjavik, and then recommendations on the best places to run in some of Iceland’s most popular spots: the ‘Golden Circle‘, Hveragerði, Akureyri, Husavik. and Vatnajökull National Park. We’ve also put together a list of ten ‘unique’ running experiences in Iceland. As for the Ring Road, there are many beautiful spots on this main road that circles the island. But be aware that there is rarely any shoulder, so use caution…and don’t run it within 50 km or so of Reykjavik. There are buses that connect some of the major destinations in Iceland, but a car is nearly a requirement. And be prepared for any type of weather. 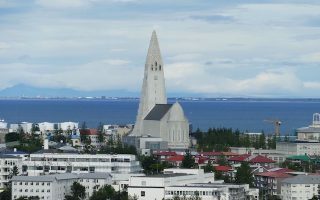 It rarely exceeds 60F (16C) in summer, and though temperatures are milder in winter than Iceland’s latitude suggests, it can be cold, snowy/icy, and dark. The right clothing is essential. There are many opportunities for unique, one-of-a-kind runs in Iceland. 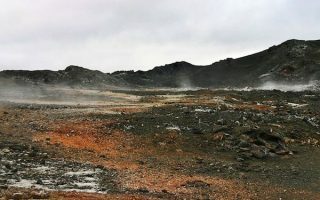 This post has some of the highlights: volcanoes, craters, canyons, hot springs, black sand beaches, lava fields, a Midnight Sun race, and more! The northernmost capital city in the world has some wonderful running options. We've put together several routes, including a 'runseeing' tour, waterfront paths, parks, and some fun spots near the city. 'Golden Circle' route is a drive between the sightseeing highlights in southwest Iceland, within a day's drive of Reykjavik. We've put together runs at Hveragerdi, the Blue Lagoon, Thingvellir National Park, Black Sand Beach, & more. One of the few opportunities in the world where you can run to a natural river thermal spring! A fairly gentle trail run for 3.5 km one-way leads to the hot springs. There's also a nice path from the parking lot to the town of Hveragerdi. Located in northern Iceland and the country's second largest city. Dedicated path along the harbor, paths along the Glerá River, and good trail running on Súlur Mountain with fantastic views. 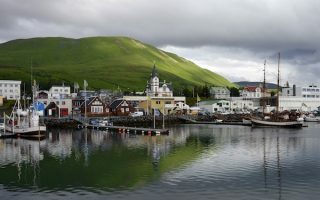 One of our favorite towns in northern Iceland and a popular spot for whale watching tours. The main road along the water is runnable and has great views. A treat is the flat path around the mountainside Lake Botnsvatn. Black sand beaches nearby. 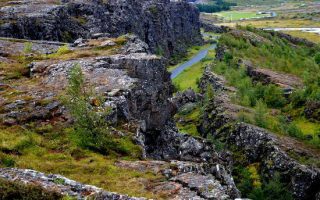 In the Ásbyrgi area of this large national park, there are some hiking trails that are also great for running. 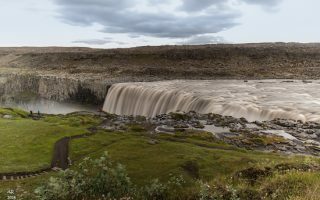 Run on a flat trail above or below a river canyon, or on a trail between two spectacular waterfalls -- Dentifoss and Selfoss. 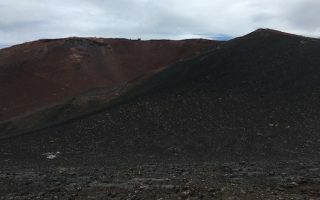 One-of-a-kind run up the Eldfell volcano, which erupted in 1973. It's about 2 km up the winding, gradual path, with 200m of elevation gain. Great views from the top!